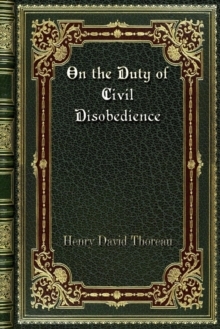 From Thoreau's renowned Journal, a treasury of memorable, funny, and sharply observed accounts of his encounters with the wild and domestic animals of Concord Many of the most vivid writings in the renowned Journal of Henry David Thoreau concern creatures he came upon when rambling the fields, forests, and wetlands of Concord and nearby communities. 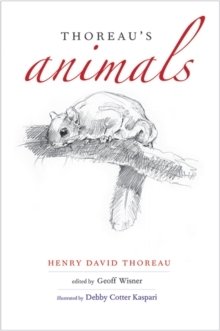 A keen and thoughtful observer, he wrote frequently about these animals, always sensitive to their mysteries and deeply appreciative of their beauty and individuality. 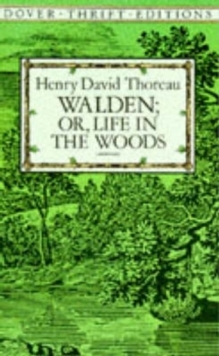 Whether serenading the perch of Walden Pond with his flute, chasing a loon across the water's surface, observing a battle between black and red ants, or engaging in a battle of wits with his family's runaway pig, Thoreau penned his journal entries with the accuracy of a scientist and the deep spirituality of a transcendentalist and mystic. 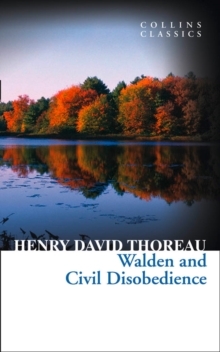 This volume, like its companion Thoreau's Wildflowers, is arranged by the days of the year, following the progress of the turning seasons. A selection of his original sketchbook drawings is included, along with thirty-five exquisite illustrations by naturalist and artist Debby Cotter Kaspari. 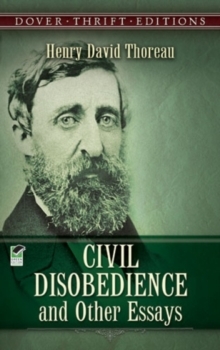 Pages: 280 pages, 54 b-w illus.